The classic Meadow Creek has traditional good looks that’s exactly what you’re looking for- classy and smart. Ride with confidence the investment you make today will last a lifetime with proper care. 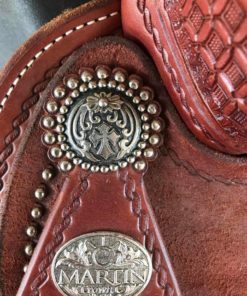 The stainless steel engraved conchos will endure years of moisture and typical riding conditions. The cut-out skirt design puts you close to your horse for close contact. Tucker’s patemted Gel-Cush Shock Absorbing seat gives you Ultimate Trail Comfort. 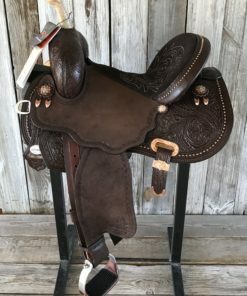 This is your saddle! Tucker’s are built to last. The revised Classics line has the same great look and function you know and expect from Tucker with a revitalized design. Uppgraded Tucker logo hardware incorporates rings for tying gear. The revised seat has been “trail tested” and approved for Ultimate Trail Comfort. 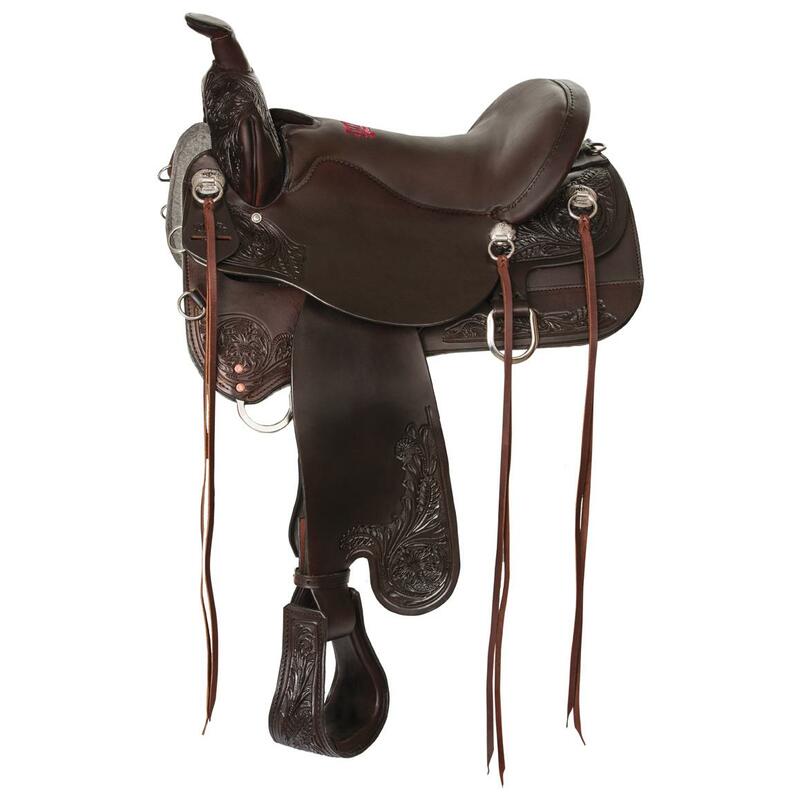 Improved engineering has allowed for a lighter weight saddle with expanded rigging and tree fit options.